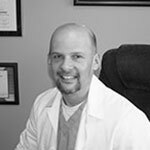 Dr. Keith Rosenthal, DPM, FACFAS obtained his podiatry degree from the New York College of Podiatric Medicine in 1996. He was a member of the National Podiatry Honor Society and received several academic scholarships while in attendance. Founder and 1st Editor in 1995 of school journal, "Podiatric Medical Review". Published the very first article in this journal entitled, "Factors Predicting a Poor Prognosis in Rheumatoid Arthritis". First Podiatrist to receive the "Excellence in Caring Award" handed out annually by Kimball Medical Center. Dr. Rosenthal is a graduate of the University of Maryland, College Park.